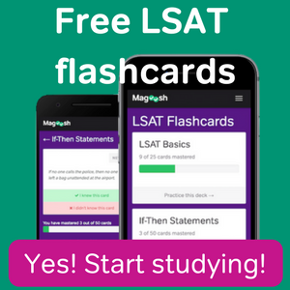 Can I take the LSAT in India? Yes, you can take the LSAT in India. The LSAT is offered almost everywhere in the world, so whether you’re taking the test in Canada, India, Puerto Rico, or China, there’s an option for you. The LSAC currently offers the LSAT in India in four locations. The list, found here, includes the Monarch Hotel in Bangalore, the Uniti Foundation in Hyderabad, Planet EDU in Gurgaon, and Hotel Centurion in Pune. Planet EDU is the only published location of the LSAT in India that currently offers all four testing dates. What if I can’t take the exam at one of these locations? Since the test locations are limited, there is a possibility that traveling to one of the published locations is either extremely difficult, or impossible. If that’s the case, you can make a formal request to the LSAC to set up the exam at an unpublished location. To be considered, you need to live at least 160 km away from a published test center, and you must also be unable to travel to any published test center. You also can’t request an unpublished test location if you are requesting in China, or if the LSAC deems your requested location a security risk (though we’re not yet sure what that means). How do I register for an unpublished test center? Requesting a nonpublished test center is pretty straightforward. You can find the instructions here. Along with your formal request, you’ll need to pay $175 USD to take the LSAT, and an additional $360 USD to request the unpublished test center. That’s a grand total of $535 USD. The LSAC recommends that you fax in your request, as well as your credit card number, instead of mailing it in. This will save you time, and you won’t have to stress out about missing the registration deadline – be sure to make this request well in advance of the deadline! One important thing to note is that the LSAC will refund the $175 USD you paid if they can’t approve an unpublished test center. However, you will not be refunded the $360 USD you paid for the request. If you want to make another request for an unpublished location, you’ll need to pay the $360 USD all over again. Generally, I’d recommend that you do everything you can to get to a published test center to take the LSAT in India. You will save yourself a lot of grief and stress, and stress is the last thing you need while you’re studying for the exam. 2 Responses to Can I take the LSAT in India? Hi! This article was very helpful,thanks a ton. How do we register for LSAT? Do I go to the LSAC website or to one of the test centre in Hyderabad? Addition to this do I have to write GRE or TOEFEL? 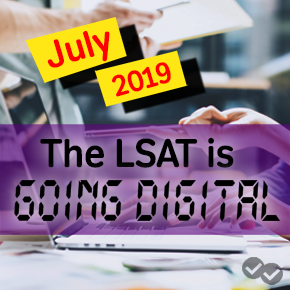 In India, you’d still take the LSAT by logging into your account on the LSAT website– just select India as your country and search for the test center closest to you. You don’t need the GRE or TOEFL in order to take the LSAT. However, there’s a chance that the universities you apply to may ask for an additional test. it’s especially common to require a TOEFL score in addition to the LSAT. Check with your target schools to confirm all testing requirements.